Brandon McManus missed a 51-yard field goal wide right as time expired and the Houston Texans hung on to beat the Denver Broncos 19-17 on Sunday for their sixth straight win. Quarterback Case Keenum had driven the Broncos to the Houston 33-yard line in the waning seconds. He kept the drive alive with a fourth-down completion to Jeff Heuerman and a critical third-down pass for an 18-yard gain to Emmanuel Sanders. But it wasn't close enough as Denver (3-6) lost for the sixth time in seven games. Houston improved to 6-3. The game was marked by the debut of Demaryius Thomas with the Texans, the standout wide receiver for the Broncos who was traded to Houston last week. Denver also had to deal with the loss of center Matt Paradis, a stalwart on the offensive line who went down with an ankle injury late in the second quarter and did not return. Paradis, who was replaced by Connor McGovern, had entered the game having played 3,850 consecutive snaps dating back to the start of his career in 2015. 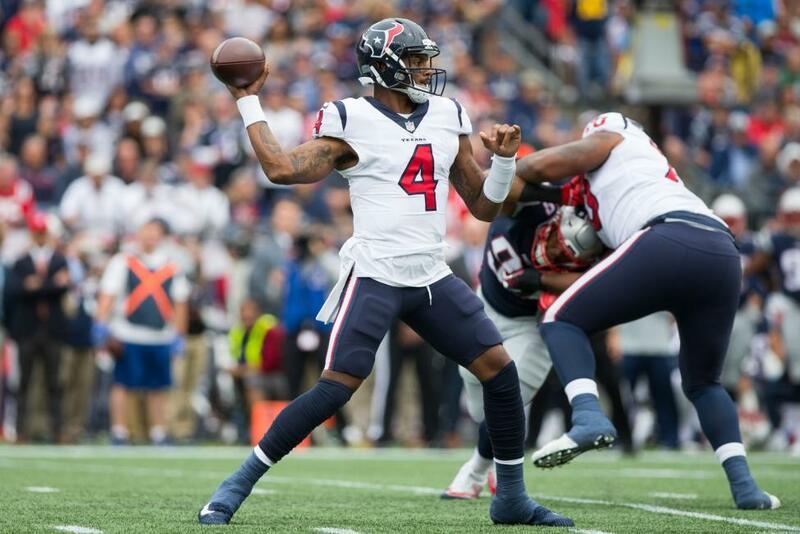 Houston regained the lead by two points as Deshaun Watson led a drive ending in Ka'imi Fairbairn's 37-yard field goal. The Texans settled for the field goal after linebacker Bradley Chubb broke through on third down to sack Watson. Trailing by six points -- the difference a missed extra point by Fairbairn earlier in the game -- Denver scored on Jeff Heuerman's 12-yard touchdown catch and McManus' extra point put the Broncos on top 17-16 with 5:57 remaining in the third quarter. Keenum squeezed the scoring pass into a tight window between defenders to connect with Heuerman. Fairbairn kicked a 46-yard field goal with no time left in the second quarter, giving the Texans a 16-10 halftime lead. The Texans drove quickly into field-goal range after McManus missed wide right on a 62-yard field-goal attempt, giving Houston possession near midfield with 18 seconds remaining in the quarter. McManus earlier had converted a 44-yarder. Thomas, whose return to Denver was acknowledged in a pregame scoreboard video tribute showing some of his greatest plays during seven-and-a-half years with the Broncos, had two catches for 49 yards on the Texans' game-opening scoring drive. Watson finished it with a 7-yard touchdown pass to rookie tight end Jordan Thomas. Watson's second touchdown pass, a 16-yarder to DeAndre Hopkins, came early in the second quarter, three plays after Houston safety Justin Reid forced and then recovered a fumble by Broncos running back Devontae Booker at the Denver 22-yard line. Hopkins found a hole in Denver's zone coverage between cornerback Adam Jones and safety Justin Simmons, and Watson hit him as he crossed the goal line. Fairbairn, however, missed the extra-point try wide right. NOTES: The Broncos were already without linebacker Brandon Marshall (bone bruise), safety Darian Stewart (neck), running back Royce Freeman (high ankle sprain) and cornerback Bradley Roby (ankle). All were listed among the team's inactive players. ... Safety Su'a Cravens, who missed the first eight games of the season with a knee injury, was activated from injured reserve and made his season debut with the Broncos. Cravens was acquired in an offseason trade with Washington.